At Carrington Court frame construction is our little obsession. We are always in a process of constant refinement. Through experiences with our customers and the introduction of new technologies, we are always tweaking the construction to offer a frame that is the most durable and comfortable available. Through this process we are able to offer a Lifetime Frame Warranty. The types of wood used are one of the keys to the entire process. All frames are of kiln-dried hardwood construction. So, exactly what is the benefit? The name says it all. Hardwoods are very strong and durable and the process of kiln drying increases the strength of the wood even more. Carrington Court Direct uses several different hardwood types in the frame construction. Maple/Poplar - Maple is a very strong and attractive wood that is used in all load bearing areas of our parsons and dining chairs. These frames often have some Poplar content which is also a strong hardwood. Poplar is used in non-critical areas and helps keep frame weight manageable. Ash - Ash is primarily used in chairs with casters. Ash is heavy and very durable. Ash is the same wood that baseball bats are made of. We selected this species of wood because it has been our experience that it holds casters better over a long period of time. Our casters are mated to the chairs legs by shunts inserted into the chair leg. Over a period of time casters put a lot of stress on the inner leg and with the wrong type of wood may fall out. Ash is able to handle these stresses and is an ideal choice. Of course the strongest wood in the world is no good if it is cut too thin. At Carrington Court we tend to "overbuild" our frames. Many manufacturers use 5/4" lumber. We use 8/4". What's the difference? 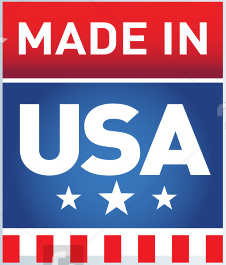 Well, if you do the math, that means our frames are made of solid wood that is almost 65% thicker. All our frames contain corner blocks that are both glued and screwed to the frame. Corner blocks are used to provide extra support in the horizontal axis of the chair. This helps keep our parsons chairs stable as well as provides protection from a phenomenon called "racking." 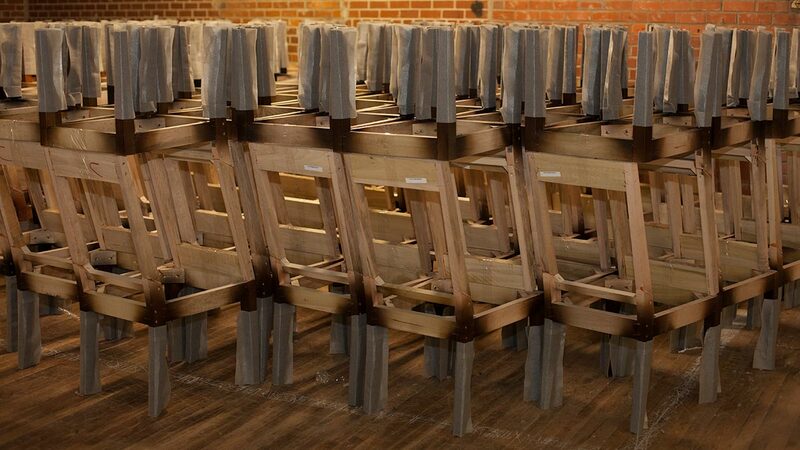 Racking occurs when the chair frame breaks and areas that have joints come apart. Racking causes the chair to creak, wobble and in some instances causes a total frame failure. Lesser quality chairs may have no corner blocks or corner blocks that are just stapled to the frame. Double-dowels are used because it is the strongest way to join to pieces of wood at a 90-degree angle. The two dowels are used to anchor the two pieces of wood together. The dowels are glued so that they can withstand any twisting or turning that the frame may encounter. We also help support joints with other types of high quality hardware. All screws are heavy-duty industrial quality. We also place a large metal "L-Bracket" at a critical joint where the back of the chair meets the seat. This bracket helps maintain stability in both the vertical and horizontal axis. All dining and parsons chairs use 4 heavy gauge sinuous springs. These springs are attached directly to the frame and are covered by FLW. FLW helps to prevent squeaking from the springs and also keeps the springs from being felt through the cushion. The use of springs make the chair very comfortable and we have dedicated a lot of resources to picking springs that provide the optimal levels of comfort and support. Lesser quality chairs may not have springs at all. These types of chairs usually contain a piece of wood or cardboard with a piece of foam over the top. There is no comparison between designs that offer springs and those that do not. The back post is the part of the frame from the top of the back to the bottom of the rear legs. This is a critical support area in dining chairs since there are a lot of forces acting on it. The back post is the spine of the chair, and if it breaks it has similar consequences as a person who has a broken back. A broken back post causes the chair to loose support and the chair will be unusable. To prevent this, Carrington Court uses a single piece back post. This means that from the top of the back to the bottom of the leg is one solid piece of wood with no joints. It is more expensive to make a frame with a solid back post, but it eliminates the joint where the legs meet the back, thus eliminating a major point of failure. This is probably more than you ever needed to know about parsons chair frames. If you take only one thing away from this page, we hope that it is that a quality chair is only as good as the foundation it rests on.